The Sapling Nursery is a fund to help you develop and test new approaches to field challenges. You can apply for up to 50,000 Euro and six months to turn your ideas into a real way of improving MSF's impact in the field. The fund is available to MSF OCA staff from all departments; both in the field and in headquarters. However, if your idea requires testing or collaboration with field staff or patients, you need to be in the field to apply, or to have a field team on board from the outset. The deadline for Sapling Nursery proposals is 25th February, 2019. Find out what projects got funding in the last round, here. If you have an idea that you would like to discuss, click the button below. For us, innovation means a new or different way of doing things that creates value or has an impact. This can be anything from a new product or service to a support function or model of care. Using stories developed with local communities to sustainably and effectively conduct health promotion and education. Developing solar powered oxygen concentration to provide reliable medical oxygen to patients. Designing a more effective kit for decontamination in areas where chemical weapons are a threat. 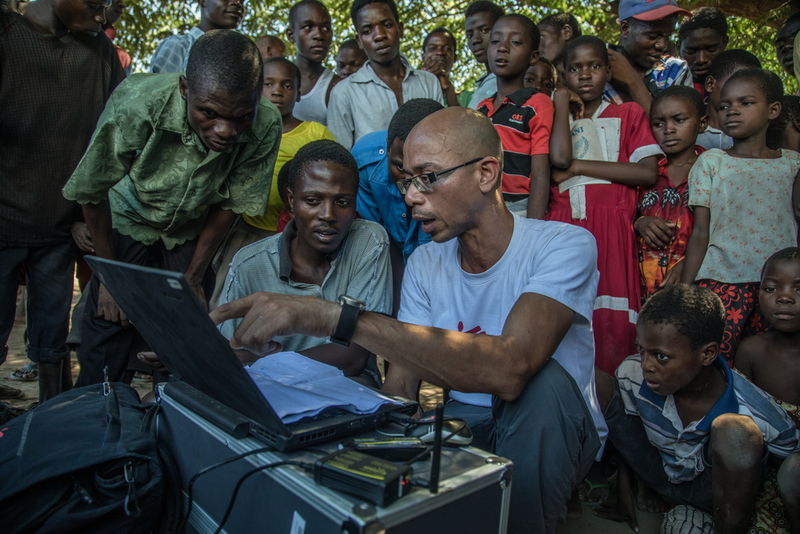 An app that enables thousands of volunteers to help MSF find communities using satellite imagery. Read more about the OCA approach to innovation. Will your idea improve the care we provide or give people better access to care? Is it an innovative new approach for MSF? Could your idea scale? Could it improve the way we work in other projects or contexts? Can you develop and test your idea within six months and a budget of 50,000 Euro? Does your line manager support your proposal? We'll also judge your proposal on your ability to managage and present your project. Make sure your proposal is well-written and developed. How can you spend the money? If you are successful, you choose how to manage your project. As long as your responsible and transparent, you can spend the funds on whatever makes your idea work. This can be materials, expertise, research, services and personnel. We can support you with guidance and resources throughout the project. The 6th round of the Sapling Nursery will soon open. See below for key dates. If you have applied, please make sure you make a note of the pitch day as you'll need to be available online. When the 6th round opens, you will be able to submit your idea or project to the Sapling Nursery fund using on application - click the button below to see the application form template. If you can't start the project immediately, you can delay the start of the project by up to three months. This won't affect the six month limit. There's a lot of competition for funding. If your proposal is not successful, you'll receive feedback from the selection committee. You can use this feedback to apply again in future rounds. If you've any questions or want to discuss an idea, please email pete.masters@london.msf.org, Medical Innovation Advisor in the Manson Unit / OCA Public Health Department at MSF UK.